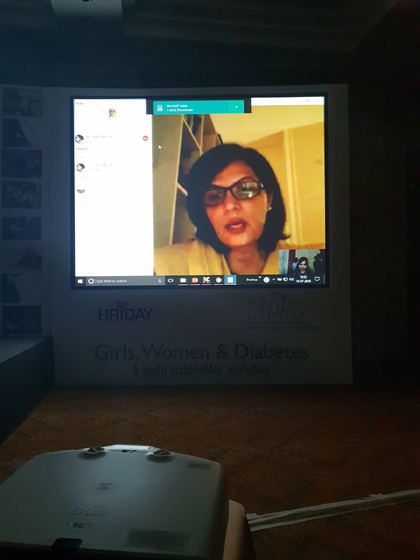 July 14, 2018: Dr. Sania Nishtar gave the keynote address at the NCDs event in Chennai organized by the Public Health Foundation of India, DIWWAAAS and HRIDAY. The event focused on Girls, Women and Diabetes and was held on July 14-15, 2018. The aim of the workshop was to share and learn about the challenges and potential solutions on diabetes prevention and control especially employing a gender lens, within the overall ambit of prevention and control of Non-Communicable Diseases. July 5, 2018: President of the UN General Assembly, H.E. 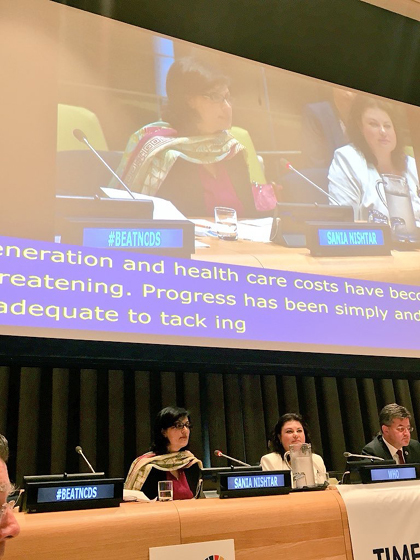 Mr. Miroslav Lajčák, invited Dr Sania Nishtar to speak in the opening segment of the interactive hearing organised as part of the preparatory process of the third UN high-level meeting on the prevention and control of non-communicable diseases. The interactive hearing was held on Thursday, 5 July 2018 at the UN Headquarters in New York. The text of the speech can be accessed here. 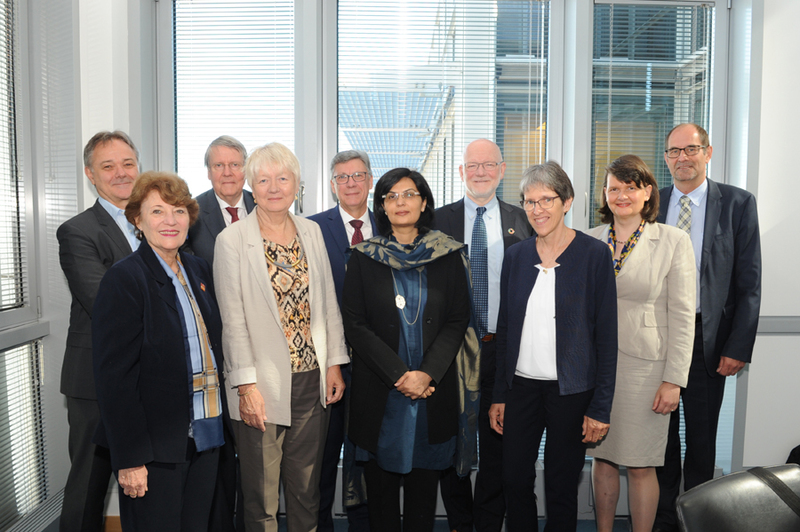 Dr. Sania Nishtar joins the International Advisory Board of the Federal Government of Germany’s on Global Health and attended its first meeting in Berlin from July 1-3. This board advises on current challenges and trends in global health and makes suggestions how Germany could further develop its engagement in the international community as the leading government, globally to promote global health. 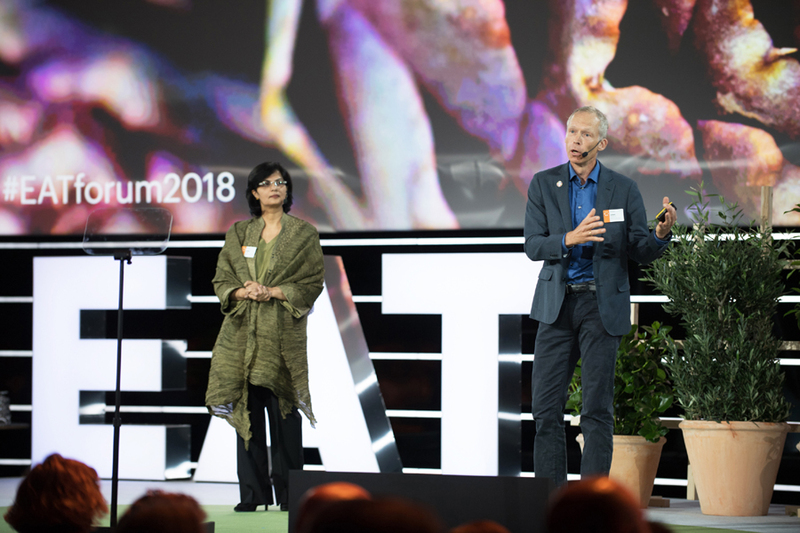 June 11, 2018: Dr. Sania Nishtar and Johan Rockström gave the State of the Union address at the opening of the 5th EAT EAT Stockholm Food Forum in Stockholm. The address can be viewed here and press coverage about the event can be accessed here. 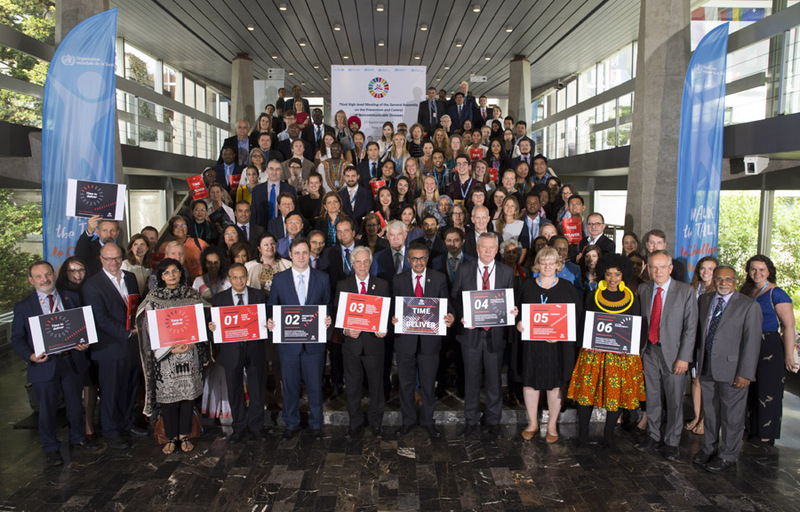 June 1, 2018: The report of the High-Level Commission on NCDs, was released in Geneva on June 1, 2018. The Report was released by co-chairs of the Commission, President Tabare Vasquez, President of Uruguay and Dr. Sania Nishtar, President of Heartfile. The Report was handed over to Director General of WHO, Dr. Tedros. The Report was published in The Lancet on the same day. The WHO monograph can be accessed and the event webcast can be viewed here. 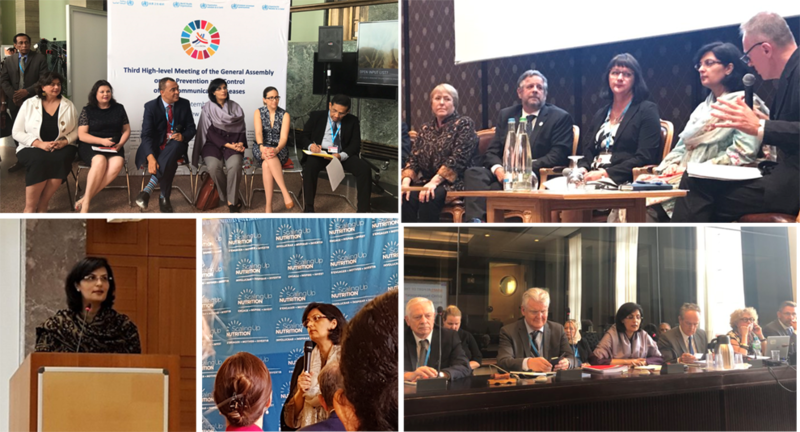 May 25, 2018: Dr. Sania Nishtar spoke at several sessions accompanying the 71st World Health Assembly in Geneva this week. She was the opening speaker for both the Scaling up Nutrition side events on the 22nd and the 23rd of May. She was a panelist on a session on NCDs alongside President Michele Bachelet organized by the NCD alliance and in addition also spoke on a panel organized by the government of Netherlands, Colombia, and Norwary. In these sessions she spoke alongside the Ministers of Health of Jamaica, Argentina, Uruguay, Ecuador, Sri Lanka, Afghanistan, DR Congo, and Norway and other health experts. Dr. Sania also chaired a meeting of the High-Level Commission on NCDs this week at the Palais de Nations. She keynoted the breakfast townhall event of NCD Child and also gave opening remarks at the G4 Surgical Alliance event this week.